I was guided to offer 2 different options to support you!! Are you ready to IDENTIFY and RELEASE root patterns and emotional pain you've been holding onto for the last 18 years or more? 18-year cycle with a clean slate? Then this special clearing process is perfect for you!! ​2 Different Options to Support You! During this phone session we will through conversation identify the patterns/challenges you have been experiencing. As we explore these patterns, we will identify the root causes that need to be cleared offering you clarity and understanding for the way you have been feeling. For some people, we will reach back in 18-year increments to 1999, 1981, 1963 or 1945. This often helps to get clear on the patterns and a perspective on how long you have been holding onto them consciously or unconsciously. We will also discuss tools/methods/techniques you can use to prevent bringing these patterns back into your matrix after the clearing process. During this session, either in person or with the appropriate technology for each client, we will clear from the energy matrix that is You, the specific energetic patterns that are connected to each issue. This is a follow-up session to see how you have been since the clearing process. I will assess and determine if there is a need for additional clearing which we will accomplish during this session. We will also review the tools/methods/techniques for preventing bringing these patterns back into your matrix. Additionally, I will create a Personalized Meditation that you can listen to moving forward into this new energy to support your overall health, wellness and empowerment. This special will be available through January 2018!! ​During this live call, you will be voice guided through a very special and powerful process that will assist you in identifying and then clearing the energy patterns that represent the challenges that you are intending to clear. Whether you are visual or not, this process will support everyone! **The recording from this call will be available for several weeks. The energy to support you with your clearing is still very potent and available!! "What an extraordinary time we live in!! Solar Eclipse energy is unique in that it has a repetitive patterning in 18-year cycles. What this means is, every time we experience a solar eclipse, we are given an opportunity to review and complete whatever we've been working on during the previous 18 years. Not only did I receive extremely valuable information, clarity and insights from the session, she was able to pinpoint my core issues. ​Shortly after my session, I attracted a new client who invested in my highest priced program! "Thank you! Thank you! Thank you Ilene! I feel so incredibly blessed to have had the opportunity to do a session with you. ​"Ilene and I were brought together at a time in my life when I had been dealing with chronic back pain and spasms. After our first conversation I noticed considerable relief. After our first appointment I knew my life would never be the same. Thanks to Ilene I was able to discover, and release, the emotional baggage that had weighed me down for so long. She helped me to develop the tools and skills to handle whatever shows up in this journey called life. With her help I was able to discover my true talents and abilities. I found me. Her talent and dedication as a counselor and facilitator are inspiring to say the least. I am truly grateful for her presence on this planet and in my life. A Registered Nurse with over 45 years of experience, she approaches client’s issues with love and compassion, with intuitive abilities and a holistic approach that empowers others to identify their core issues very quickly and find inner peace and healing. Her passion for teaching conscious heart connection is expressed through Akashic Records (Psychic/Intuitive) and Medical Intuitive Readings and The Heart of Love Wisdom Seekers Spiritual Community. 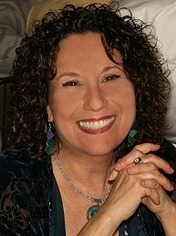 She also offers experiential workshops that expand conscious heart connection, special VIP experiences for Facilitators of Vibrational Healing to expand the gifts and services they offer to their clients and she teaches Egyptian Emotional Clearing processes and facilitates the Feelings Circle, a gentle emotional clearing workshop utilizing guided imagery, several essential oils and energy wellness tools to literally clear the energy patterns of toxic emotions and trauma.